An impressive £92,000 was raised at a special black tie event to formally celebrate the success of the University’s Paralympian students and alumnus Stephen Miller MBE at the 2016 Games. The student athletes were guests of honour at Northumbria’s fundraising dinner and auction ‘Faster, Higher, Stronger: A Celebration of Sporting Excellence’ which was held at the University’s City Campus, in Newcastle. 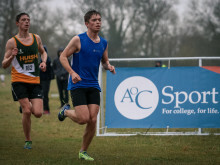 The money raised will go towards the University’s ‘Faster, Higher, Stronger’ fund, providing Disability Sport Scholarships for elite athletes studying and training at Northumbria; research opportunities to create and apply knowledge about sport performance, health and wellbeing; and specialist equipment and technology to enable more students to participate in sport at Northumbria. Leadership and Management students Harriet Lee and Claire Cashmore joined Andrew Mullen – who began the same course at Northumbria in September – as part of Team GB in Rio. Meanwhile, Sport Management student, Taka Suzuki, represented his home country of Japan in the pool. 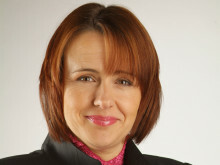 Northumbria University’s Chancellor and one of Britain’s most successful Paralympian athletes, Baroness Tanni Grey-Thompson, was guest speaker at the event. She said: “I am incredibly proud of our students at Northumbria University who went to Rio and won medals. “Investment in disability sport is really important because we have an amazing Paralympic team who, in Rio, finished second in the overall medal table. However, we need to keep working on that to make sure that we stay as one of the best countries in the world. Harriet brought home a silver medal in the Women's SB9 100m breaststroke swimming event at last year’s Paralympic Games, while fellow GB athlete and Northumbria student Andrew stormed his way to a silver medal in the Men's S5 50m backstroke. Andrew also scored two bronze medals, one in the Men's S5 200m freestyle and the other in the Men’s S5 100 freestyle event. Claire, who has been competing for Great Britain for 12 years, won a silver medal in the 100m breaststroke and was part of the Para-swim team alongside Steph Millward, Steph Slater and Alice Tai who took gold in the women's 4x100m medley. Claire was made an MBE in January 2017 for her services to swimming to cap off a hugely successful year for her. Northumbria alumnus Stephen Miller MBE won bronze in the club throw at the Paralympics in Rio. 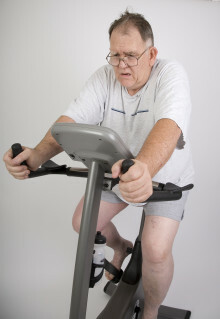 The former world record holder is one of Britain's most successful Paralympians, having represented his country for 20 years. Taka narrowly missed out on a medal at this year’s Games, finishing fourth in both the Men’s SM4 150m – with a new lifetime best and a new Japanese record – and the Men’s SB3 50m breaststroke event. 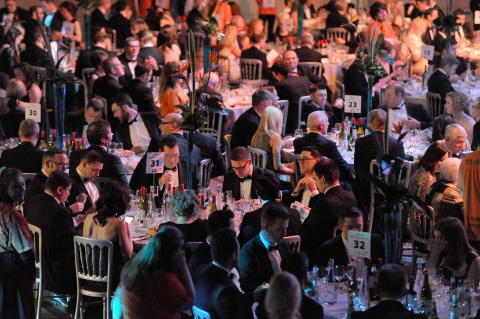 The fundraising dinner and auction showcased the University’s prowess as a leading UK institution for performance in sport and raised funds to support continued excellence in disability sport and exercise research at Northumbria. The event was hosted by Northumbria alumnus Scott Hastings, former Scotland rugby international and British Lions team member, alongside Fabulous Flournoy, player and head coach of Newcastle Eagles. Professor Andrew Wathey CBE, Vice-Chancellor and Chief Executive of Northumbria University, said: “It is a source of immense pride for Northumbria University to have medal winning Paralympians as part of our student body and alumni. Such is their achievement, that if Northumbria University appeared in the official Paralympic 2016 medal table, we would be 51st out of 83 –ahead of the likes of Czech Republic, Denmark and Argentina. With more than 60 caps for his country in major international competitions, it’s little wonder that Scottish rugby hero Scott Hastings’ two children followed in their father’s footsteps. 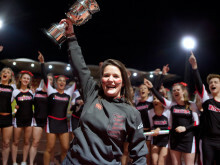 ​Northumbria University has made history after winning the prestigious Stan Calvert Cup for the third year in a row from the hands of rival competitors Newcastle University. 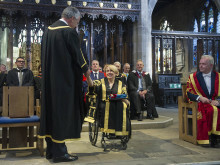 Britain’s greatest Paralympic athlete, Baroness Tanni Grey-Thompson DBE, has today been inaugurated as the new Chancellor of Northumbria University, Newcastle. 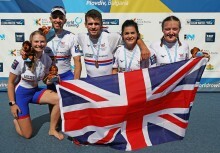 ​Four Northumbria University students are going for gold at Rio’s Paralympic Games this month. 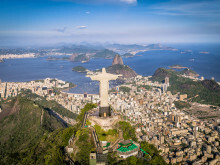 The quartet of swimmers have their eyes on the big prize after jetting out to the 2016 Games in South America. 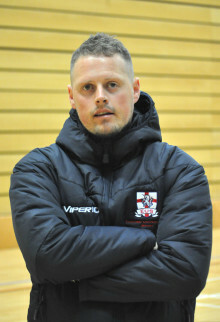 Northumbria University lecturer Andy Coyles has been appointed as the Head Coach for the English Universities Men’s National Football Team.